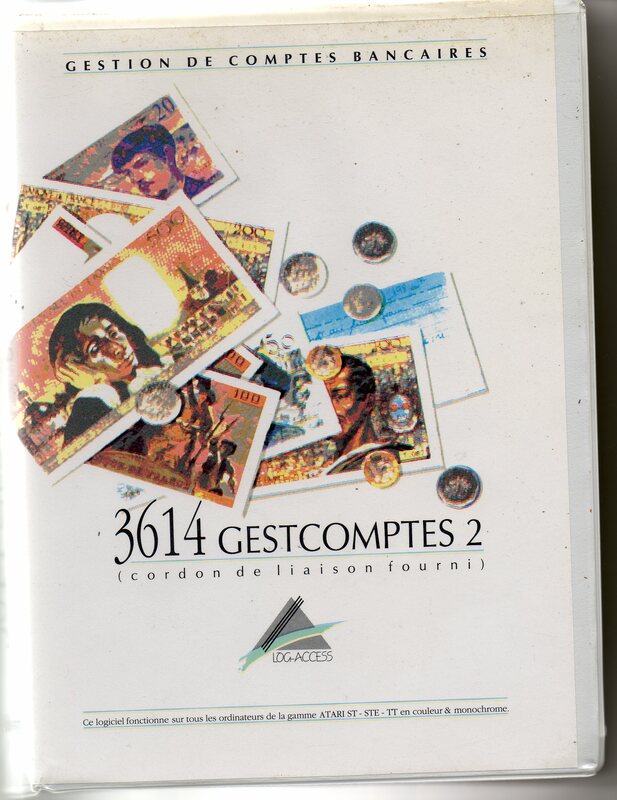 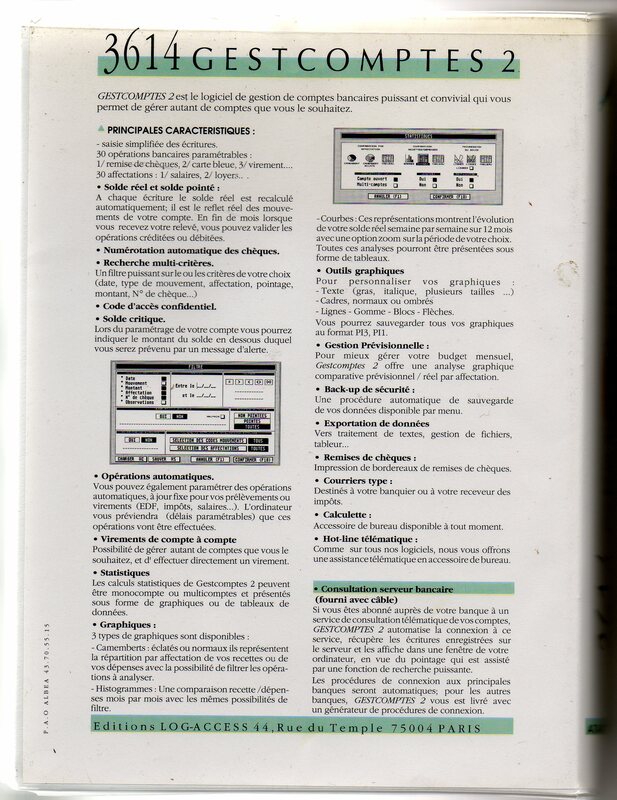 3614 Gestcomptes 2 is a telebanking kit for owners of Atari ST computers published by LOG-ACCESS. 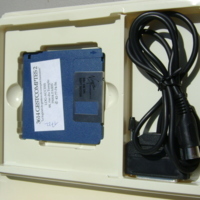 The kit includes a diskette with software to run on the PC and a serial cable for connecting to a Minitel terminal. 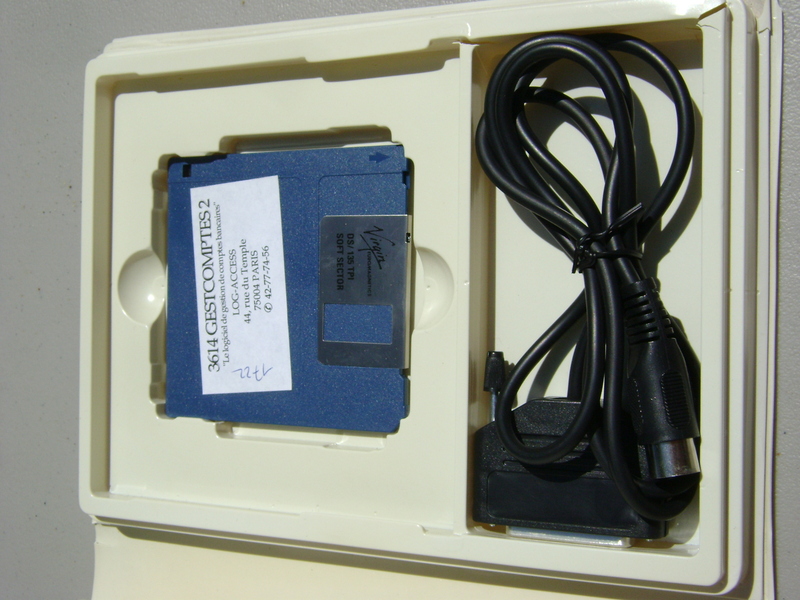 There were advantages to this design for both users and service providers. 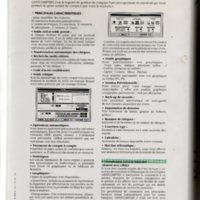 On one hand, the serial cable allowed home computer owners to use their free Minitel in lieu of an expensive PC modem. 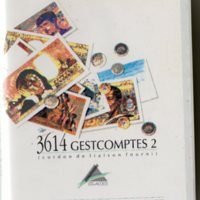 On the other hand, service providers enjoyed an on-going stream of revenue from the 3614 connection fees.